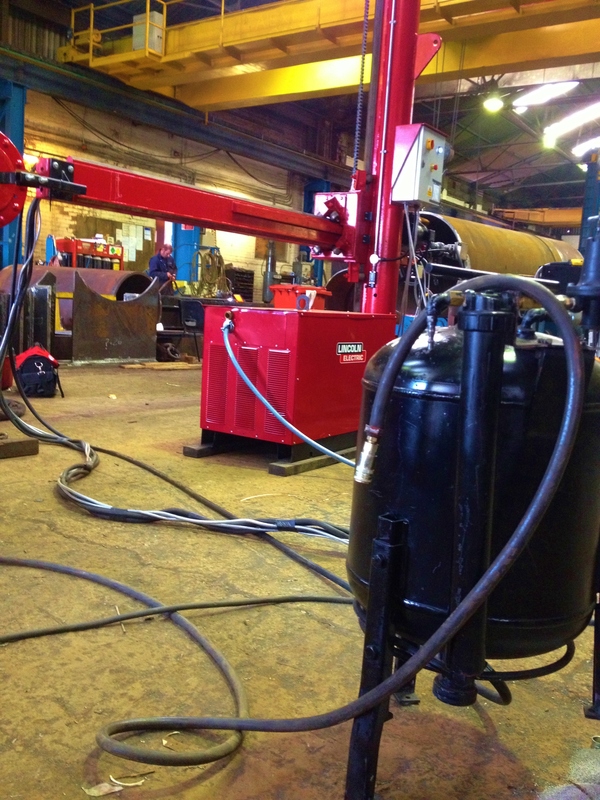 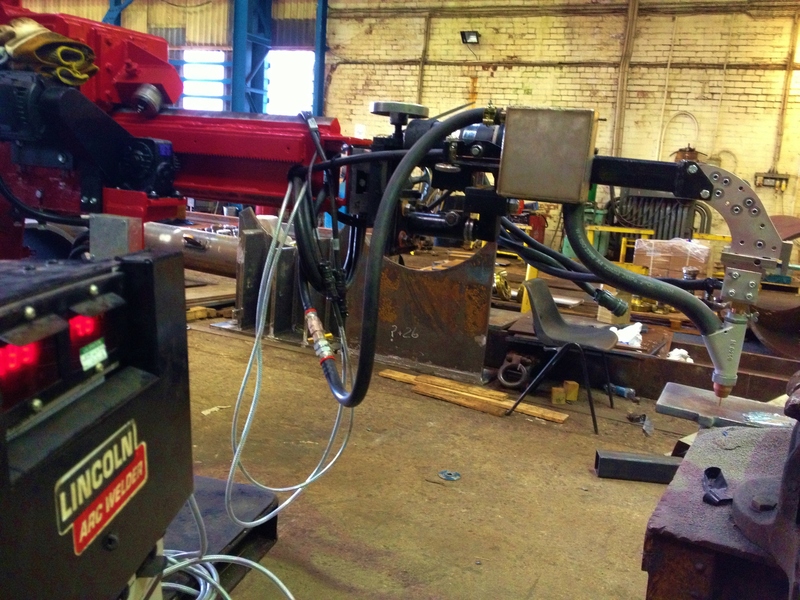 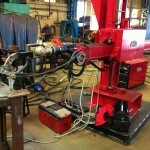 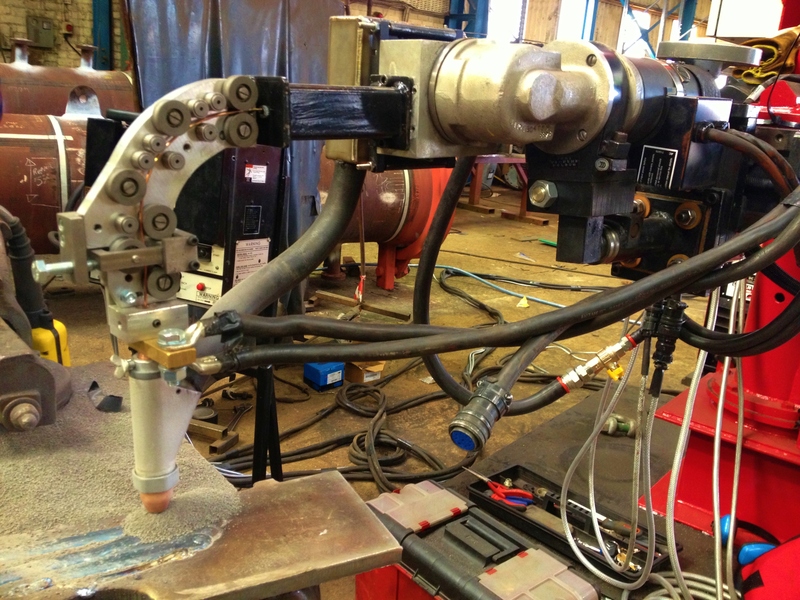 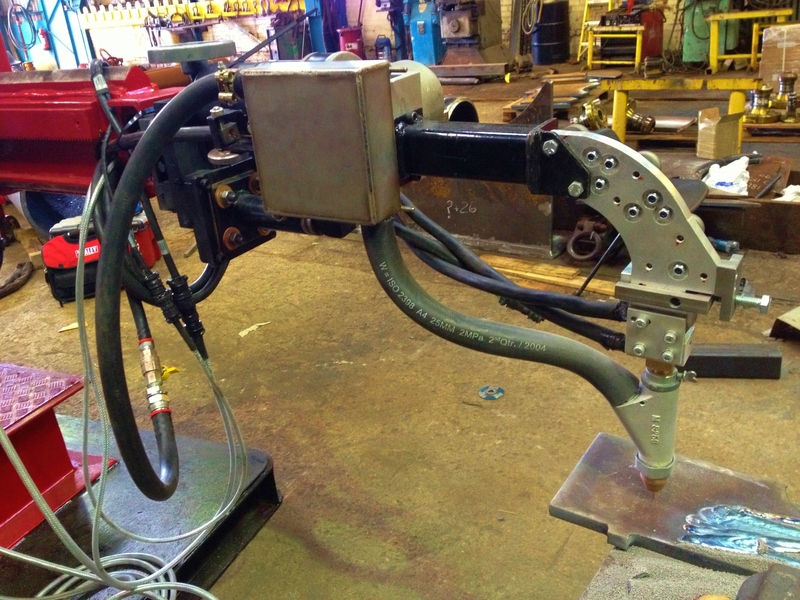 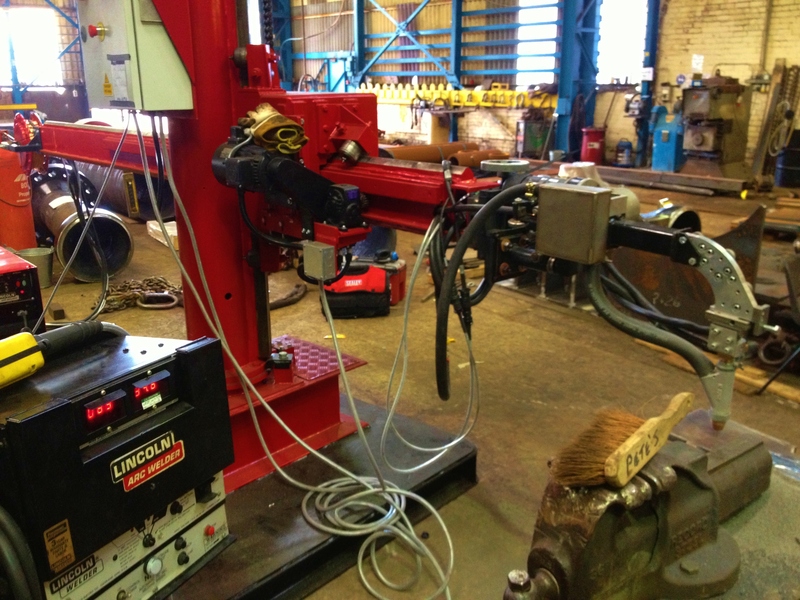 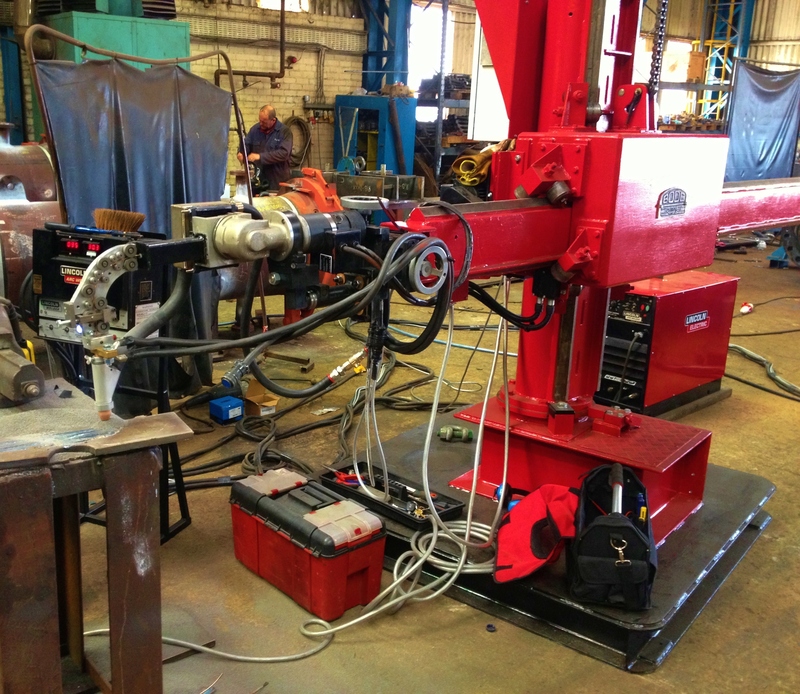 Here is our 3 m x 2.5 m column and boom welding manipulator with a SAW flux pressure feed tank system for pressure feeding flux to the sub arc head nozzle. 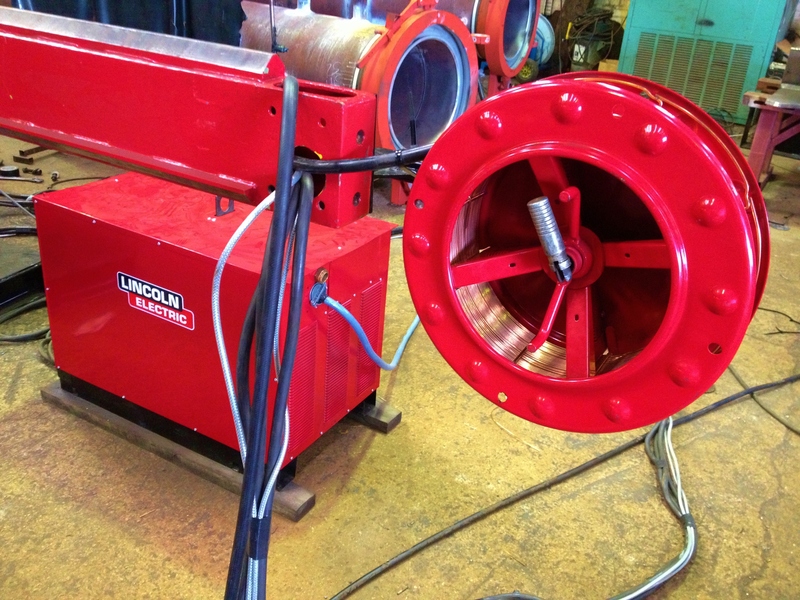 By minimizing the width and height of the sub arc head the compressed forced air flux delivery system is an ideal method of squeezing the sub arc head into tight spaces. 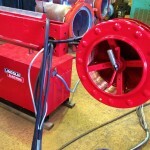 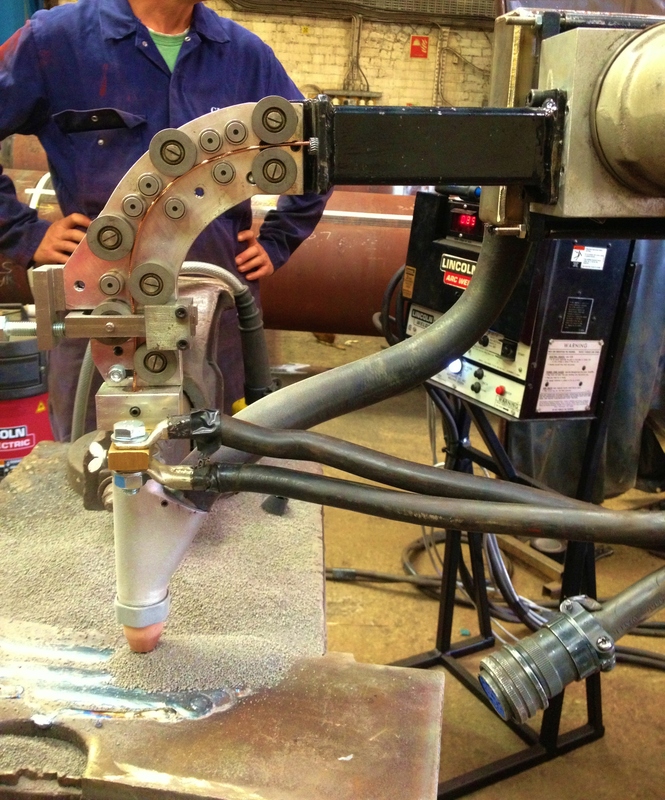 Designed for internal welding the compressed feed tank eliminates the traditional flux hopper along with the wire spool holder which instead feeds down the boom arm. 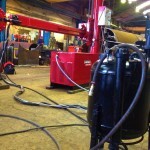 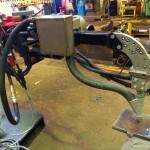 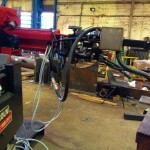 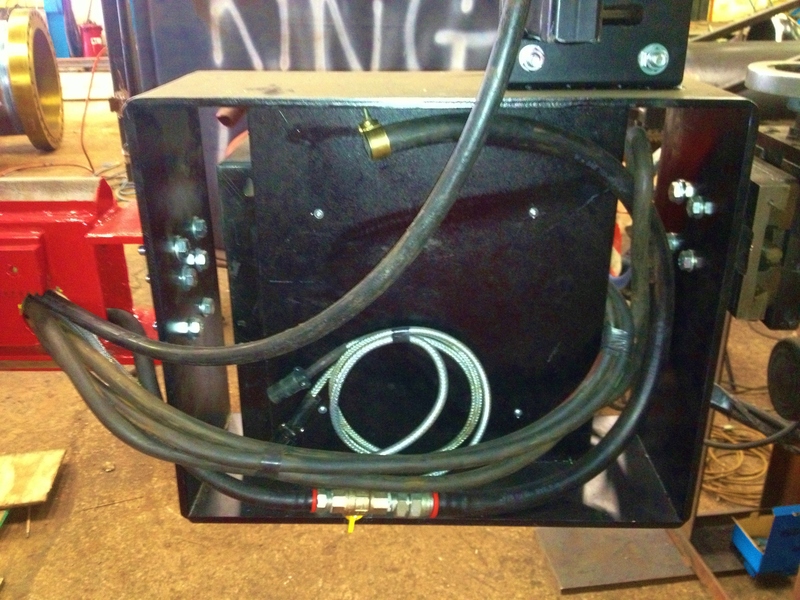 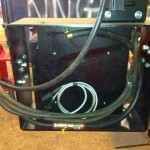 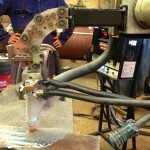 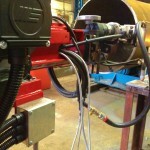 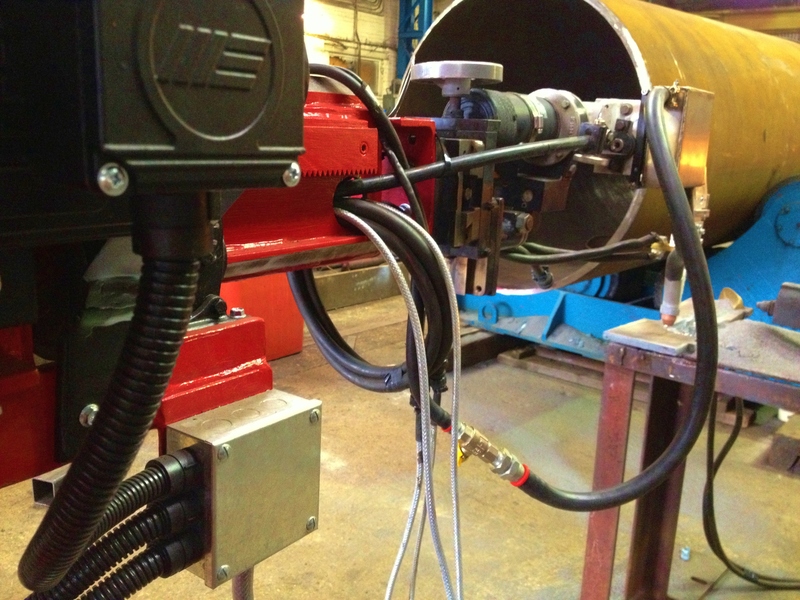 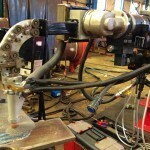 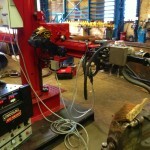 The forced air flux feeding system is an extremely convenient method for automatic welding systems.